Howard Gardner's theory of multiple intelligences has long been used in education to decipher student's personality. This is a boon to teachers who need to figure out who there students really are. Imagine the situation you are placed in as an educator. You have dozens of students in a class and no idea what their skills and interests are. What better way to start the first day of school then by giving a personality test? This technique can foster a community of free thinkers in the classroom and be beneficial for education. It is also a way to educate yourself even if you are not an instructor. Personality tests have been used forever to judge students just like IQ tests, but I would recommend using a personality test to judge yourself, or your students if you happen to be an educator. 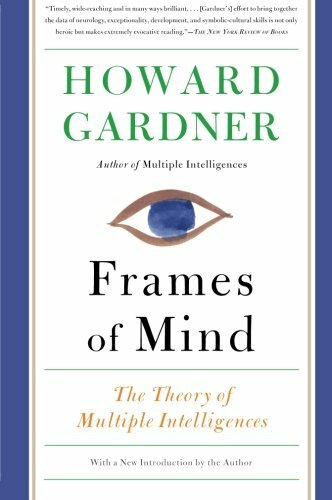 So what is the Howard Gardner test? It is one of the most widely known and used tests and is frequently updated. Yes, new intelligences are added to the test and have been over the past two decades since it was introduced in the eighties. The test asks you a series of questions and at the end of the test you are scored based on your answers. These answers will determine what type of personality you are. Here are the categories and after reading this you may have an idea about what type of personality you are, but if you still don't then check out the references. There will be a link to the actual test in the references. The categories include: musical, visual, verbal, mathematical, bodily, interpersonal, intrapersonal, naturalistic, existential. The musical personality is commonly scored by individuals who are passonate about music. These are the types of people who are sensitive to sound and rhythm. They can pick up tones and pitch. Usually these people play instruments like the guitar or piano. If you are educator giving the test you may be surprised to find that a majority of your band and chorus students will be in this personality grouping. Visual learners are people who literally visual a concept or idea in their head. They use their "third eye" to see things in their mind. For example, this might them an extra advantage in a philosophy class. Einstein was rumored to be a visual thinker. He could conceptualize formulas which helped him develop forumlas like E=MC squared. Mathematical learners are experts with formulas, equations, problems, reason and logic. Don't be surprised if you get this personality type and have no idea how to do complex math problems. This is because this personality also includes logical learners. Bodily-Kinesthetic learners are heavily linked to their body. These people think while moving. When these learners involve their muscles they seem to learn better. Many people might be surprised to learn that they actually learn better when they are moving around the house or classroom. Interpersonal learners learn when they interact with other people. These learners excel at group projects and conversations. This might also be a secondary trait or personality type for some learners. However, with young children it could be their primary personality type because children in schools seem to be chatty. This is a common personality with students. Linguistic learners are great at english, foreign languages, and grammar. This is going to be a primariy personality type for most adults, but might be secondary with young learners. Linguistic learners are excellent with reading and speech. Hope that you have a few of these learners in your english classroom. Intrapersonal learners are introspective. Unlike interpersonal learners who excel in group conversation and projects these learners look inward. They are deep thinkers and understand the way the world works, but may be socially awkward. These types of learners are skilled thinkers and are very emotional. Naturalistic learners are similar to bodily learners. Not in the way you think though. Naturalistic learners learn while they are outside and in the wilderness. This is where they learn the most. The ability is clearly useful to woodsmen and hunters. People who spend a lot of time outside seem to be naturalistic in their learning. Existential learners are people who are spirtual, religious, and philosophical. They are the types of people who study religious texts and relate to the understanding of god. They often think about the great mysteries of the universe and attempt to draw reason from their own understand of it. I hope that you understand Howard Gardner's multiple intelligences now. This article has provided you with a brief synopsis of Gardner's main intelligence types. After reading this you may have abasic understanding of what type of learner you are or if you are an educator hopefully you want to incorporate this into your classroom. Check out the link at the bottom of the personal experience section to see what type of personality you are. Don't worry it is free! As a educator I can tell you the benefits of using Gardner's personality test in your classroom. It is important to start building your classroom community and your students will reward you if you structure lessons to their interests. If you can identify who is what kind of learner it will greatly help you out. I have a massive black board in my classroom with each student's personality on a sticky note stuck under the respected personality type. Additionally, I try to structure weekly lessons that target their personalities. This has helped me build an amazing classroom where the students feel respected and actually enjoy it when their personality type is targeted for the weekly lesson. Good luck and if you are not an educator you should still try and take the test. It is always cool to figure out what type of personality you are. Check this link out to see your personality test. When I took this test in High School I tied Intrapersonal and Interpersonal as my personality type.